To most homeowners a deck is a place to hold summer barbecues, to sit outside and relax with friends or family members, or the location for your hot tub or spa. 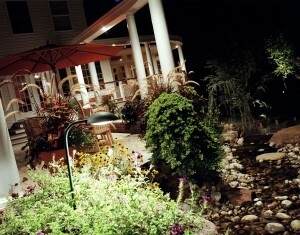 Whatever your deck means to you, is the lighting around it enhancing its beauty and functionality? Is the land around it property irrigated, to help it withstand the elements and maintain its natural beauty and structure? Contact one of the irrigation and lighting experts at TLC, Incorporated today to discuss how to make your deck even more of an asset to your property. Don’t have a deck yet, but thinking of building one? Even better – let us work with you from the start!